As protests erupt across North Africa and the Middle East, the tiny island nation of Bahrain is seeing its share of unrest. Thousands of demonstrators have taken to the streets in the capital Manama to protest against a regime that is viewed by many as oppressive and discriminatory. Bahrain seems to be following the examples set by Egypt and Tunisia, who have each toppled longtime rulers. As an Arab country seeking a democracy, Bahrain appears to have much in common with other nations in the region that are facing unrest. But its sectarian makeup and geographic position make it a special case, especially for the United States. Bahrain is an island that sits off the coast of Saudi Arabia in the Persian Gulf. It was a part of the Persian Empire until it achieved independence in 1783. Today, it is the home of America’s Fifth Fleet, which is responsible for patrolling the Persian Gulf, the Red Sea and the Arabian Sea. The country’s Sunni majority rules over a Shiite minority. For our purposes, these are the key facts. Shia outnumber Sunnis in Bahrain 2 to 1. However, the country is ruled by Sunnis who occupy the upper echelon positions in military and government. Sunnis are aware that toppling the regime means toppling their cushy position in Bahraini society and as a result, the protests have taken on a sectarian dimension. Unlike Egypt and Tunisia, it is unlikely that the military will side with the protesters. In the past 24 hours, we have seen an up-tick in violence, with soldiers opening fire on demonstrators. The state-sponsored use of violence will likely only add fuel to the fire of the rebels, but don’t look for the regime to go down without a fight. As said, Egypt and Tunisia had the help of the military, and it is unlikely that any of the revolutionary movements taking place in the region today would get far without it. Right now, the protesters in Bahrain don’t have it and aren’t likely to get it. The Saudis are concerned with growing Shiite (and therefore Iranian) influence. As mentioned, Bahrain is two-thirds Shiite and Iran is almost entirely Shiite. Saudi Arabia has its own population of Shiites, though not as many as Bahrain and Iran. The problem is that Saudi Arabia’s Shia population lives in the oil-rich eastern provinces, which happen to border Bahrain. If the regime in Manama falls giving way to a Shia dominated government, Iran is clearly a beneficiary, as the Islamic Republic would then have an ally right off the coast of its biggest rival in the region. Saudi Arabia was already concerned with creeping Iranian influence before this mess, going as far as taking sides with Israel against the Persians and supporting the Yemeni government in their war against Shia Houthi rebels near their common border. The current unrest has to be deeply troubling for The Kingdom, and it is rumored that Riyadh has dispatched security/intelligence advisors to Bahrain to aid in the crackdown and to report back events on the ground. The United States is in a tricky position. The Obama administration wants to be “on the right side of history”, but Washington has proved over the last few weeks that it has a hard time deciding what exactly that is. When it comes to old allies, the United States prefers the status quo. This was true in Egypt, but when it became clear that the Mubarak regime was falling America had to readjust to the reality on the ground and support the protesters in their pursuit of democracy. Washington will take the same approach to Bahrain, as the American public has a soft spot in their hearts for the image of besieged patriots trying to overthrow a king. But the strategic implications of the Shiite majority taking power in Bahrain is likely causing sleepless nights for the officials who are paid to worry about such things. As mentioned, America’s Fifth Fleet is parked in Bahrain. The Fleet represents US power projection in the region and sends the message to state actors and non-state actors alike that American bombers, fighters, warships, and Marines are never that far away. If a Shiite regime that is allied with Iran takes power in Bahrain, the Fifth Fleet will quickly find itself in need of relocation, with few options*. *Slim pickens here. Saudi Arabia is out, because stashing US warships in the Custodian of the Two Holy Cities of Mecca and Medina is controversial to say the least. Iran is out for obvious reasons, though it would be funny to ask. Oman or Qatar could do it, but they wouldn’t be happy about it. Kuwait is the most likely choice, as “they owe us one” for repelling Saddam Hussein in Gulf War I. Along with Bahrain and the Saudis, the United States is also concerned with creeping Iranian influence (see Lebanon and Iraq). The US economy depends on the free flow of oil, much of it originating in the Persian Gulf, and maintaining the flow of oil is a key national security goal of the United States. America is playing a zero sum game with Iran, where any gain by Tehran is seen as a loss for Washington. And a Shiite revolution in Bahrain would be seen as a huge win for Iran. Dr. Ayad Allawi’s Iraqiya party has won a plurality in the March 7th parliamentary elections, but his ability to form and lead a government is in jeopardy. Allawi’s bloc garnered 91 out of a possible 325 seats, barely besting sitting Prime Minister Nouri al-Maliki’s 89 seats, and far shy of the 163 seats needed for an outright majority. Immediately after the results were released Mr. Maliki demanded a recount. However, by most accounts the polling was sufficiently fair and representative of the voters’ wishes, and at this point a complete recount is unlikely. Allawi faces stiff challenges going forward. As leader of the most successful bloc, he is in line to be the next Prime Minister, which is tasked with forming a government to run an Iraq that is still recovering from the US-led invasion to oust Saddam Husein. Though Allawi’s challenges are many, it seems that Maliki is the single biggest obstacle to him taking power. As mentioned, Maliki’s State of Law Coalition (SLC) won 89 seats to Allawi’s 91, and now both sides are aggressively courting the other blocs to build a coalition, preferably one that would give them a majority in parliament. One of the leaders whose support is actively being sought is Sayyed Muqtada al-Sadr, who is part of the Iraqi National Alliance (INA). The INA is a Shiite religious party that is seen as being close with Iran. Indeed, Sadr himself has been living in Qom, Iran for the last few years in an effort to polish his religious credentials. Just this week, Sadr announced that he would hold a binding, nationwide referendum to determine which coalition he should throw his support behind. The move may be a way to downplay Iranian influence on his decision, but the fact that Sadr is having a vote on the topic is encouraging for Iraq’s democratic prospects. While the majority of Iraqis are Shiite Muslims, there is still a great deal of distrust of the Iranians, who are also mostly Shiite but are ethnically Persian. The Arabs have a complex and often tense relationship with the Persians, a situation exacerbated by the Iran-Iraq War (1980-1988) , which was quietly one of the most brutal and costly wars of the 20th century. One of the charges being hurled at Allawi is that he is a former Baathist and supporter of Saddam Hussein. While this may be true, Allawi turned on Hussein and left Iraq in 1971 to study medicine in London. In February 1978, ax wielding assassins attacked him in his wife in their bedroom, ambushing them as the slept. Allawi sustained extensive injuries in the attack; his wife died. 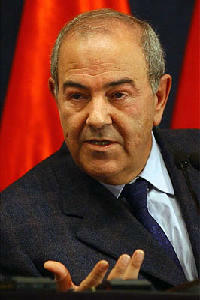 From then on, Allawi worked with the British and the Americans to topple Saddam, whom he believed was behind the attack. Still though, having been a Baathist and supported of Saddam, no matter what has happened since, does not sit well with many of Iraq’s Shia, who are deeply concerned with Baathist influence in their government going forward. The Shia suffered greatly under Saddam and the post-Saddam government has been actively purging ex-Baathists from its ranks since 2005. The de-Baathification commission, now known as the Accountability and Justice Commission, has been tasked with preventing former Saddam supporters from entering the new government. But the Commission has taken on a political tone, as it had barred hundreds of candidates from participating in the March elections, many of which came from Allawi’s party. Many Iraqis are now calling foul, and making matters worse is that the commission is now trying to bar six additional candidates that “somehow made it through”. If these candidates are all from Dr. Allawi’s Iraqiya party, which is likely since many there are many Sunnis in the secular Iraqiya, then there will no doubt anger and frustration from Sunnis that could escalate towards instability. This instability could hamper the American withdrawal. Iraq’s sectarian breakdown is roughly 60% Shiite, 20% Sunni, 20% Kurd. Both Maliki’s SLC and Allawi’s Iraqiya received broad support across sectarian lines, but in the end the party that wants to lead will have to make a deal with either the Kurds or Sadr’s hard-line INA. To win the support of the Kurds, a deal would have to be made involving the disputed, oil-rich area of Kirkuk. The Kurds claim that the territory should be part of the autonomous Kurdistan province, but due to the money that is at stake there, this claim is greatly disputed. It is unclear what it would take to make a deal with Sadr’s INA, but it would probably take something that is in both the Shiite’s and the Iranian’s interest. An alliance between Allawi’s bloc and Sadr’s bloc would put a lot of groups under the same “big tent”, and would therefore help to facilitate the US troop withdrawal. This would please both Sadr and Tehran greatly. One encouraging bit from the situation is that the two groups garnering the most support were multi-sectarian, which is a strong indication that the ethnic diversity of Iraq might not be such a hindrance after all. Also, the bloc that took the most seats was nationalist and secular in nature, which indicates that a future Iraqi government might not be as malleable to Iranian interests as once predicted. These are good days for Lebanon. The country is relatively stable, stocks are up, and the tourists are back. The government is semi-functional, business is booming, and construction is everywhere. The people of Lebanon are showing the world what they are capable of when their country is not at war. But many Lebanese are fearful that this peace will not last; that it is only a matter of time before Israeli bombs rain down on Lebanon once again. Recently, all sides have upped the ante. Israel proclaimed that it will hold all of Lebanon accountable for the actions of Hizballah. In return, the Lebanese government declared that Hizballah was a legitimate defender of Lebanon. Lebanese Prime Minister Saad Hariri, seeing no way out of these trouble waters, decided to wade into them chest deep. And with that, Hariri put the safety and stability of all Lebanon in the hands of Hizballah. Many believe that one of the major factors that led to the 2006 War was that Hizballah was eager to prove its usefulness in the wake of Israel’s withdrawal from Lebanon in 2000 and the end of Syrian occupation in 2005. There were UN resolutions calling for the disarmement of Hizballah, and suddenly they had no cover from Syria and no one to “resist” against. You would think that two occupiers leaving your country would be a good thing, but counter-intuitively this was highly destabilizing for Lebanon. It caused an internal rift between Hizballah and the government over the disarmament issue, and created the need for Hizballah to prove its “usefulness” to Lebanon. Officially declaring Hizballah’s weapons to be part of Lebanon’s defense negated both those issues. This was a shrewd move for the young Prime Minister, who is quickly proving his ability to negotiate the complex political landscapes of Lebanon and the Middle East. By accepting the reality of Hizballah’s arms, he pulled the group deeper into the political establishment thereby increasing their responsibility for the safety of Lebanon, and conversely, their culpability for its destruction. The way things stand today, Israel is unlikely to attack unless provoked, and Hizballah is unlikely to provide that provocation. This tense and tenuous state of affairs has held so far, but if it fails, the result would likely leave Lebanon in complete ruin, even more so than the 2006 conflict. On the surface, Israel and Hizballah seem like two scorpions in a glass jar, but this may not be the case. Some analysts speculate that the least spark could set the situation ablaze. However, recent events have shown that it will take more than a tiny spark to reignite this fire. Periodically, over the last year, rockets were launched into Israel from Lebanon, likely originating from militant Lebanese Palestinians. If Israel wanted to, it could have used these rocket attacks as a pretext for another war, but it didn’t. No one was killed, Hizballah said they didn’t do it, and that was that. It will likely take an offense on the level of what set everything off in 2006 (when Hizballah killed a handful of Israeli soldiers and took two of them into Lebanon) to start another war. Again, the way things stand today, a repeat of that scenario is unlikely. A wild card in this scenario is Syria. Just last week, Israeli analysts were recommending that any strike against Hizballah be widened to include Syria. This is because almost everything that Hizballah has in terms of weapons and cash either comes either from Syria, or from Iran through Syria. While cutting off an opposing army’s ability to rearm itself has historically been of strategic importance, it might not apply in this case. Hizballah has already completely restocked its itself with everything that it will need for another conflict with Israel. If the IDF gets involved with Hizballah again, and Hizballah exhausts its weapons supplies, that will mean that the conflict had probably drawn itself out to a duration the Israel is likely to be very uncomfortable with. It is unclear whether Israel is even capable of sustaining Hizballah long enough for the Resistance to necessitate reaming itself. The whole makeup of the IDF is geared towards quick and devastating preemptive strikes, not intense, long and drawn out conflicts. Some may point to the thirty-year occupation of Lebanon as proof that the IDF can sustain itself in hostile territory for long periods of time, but that was an entirely different case. Israel originially invaded Lebanon because the PLO was using it as a base of attack. Israel invaded June 1982 and the PLO was expelled September of that same year. In just four months, the IDF had reached its primary objective. Historically though, even four months is a long time for Israel. The Six Day War of 1967 comes to mind, but also the Yom Kippur War of 1973 lasted less than a month. Flash forward to Israel’s 2006 War with Hizballah, which itself lasted only34 days. If Syria gets involved, or more precisely, if Israel involves Syria, it could prolong the conflict to a duration that Israel just is not comfortable with. Hizballah already has its weapons, and the IDF will likely have its hands full with them without getting Syria into the mix. One thing that must be considered, however, is the strength of the Syrian defenses. Syria uses less-than-state-of-the-art weapons and defense systems, some of it having come from the Soviet Union back when there was such a thing. In 1967, a time when Israeli forces were not nearly as advanced as they are today, the IDF laid waste to the Syrian Air Force before it even left the ground. More recently in 2007, the Israeli Air Force traveled deep into Syrian air space and destroyed suspected nuclear weapons sites. Syria was completely taken by surprise, its air defense system completely failed, and to this day Syria has not responded. It is not that far of a stretch to imagine the IDF doing the exact same thing today, with the same result. In this scenario, there would be a simultaneous attack on Hizballah (or more accurately, Lebanon) and Syria, and when the smoke cleared, only Hizballah would be still fighting. Whether or not Syria “gets involved”, it is likely that another war between Hizballah and Israel would last longer than 34 days. First, the 2006 War only stopped because Israel withdrew, as Hizballah showed no signs of slowing down. That time, Hizballah was estimated to have about 16,000 rockets as well as a few anti-tank and anti-ship missiles. Today however, the group is believed to be much more prepared (as are the Israelis, no doubt). In addition to more than doubling its Katyusha rocket stash to over 40,000 strong, Hizballah has also likely acquired more sophisticated weapons, and higher quantities of them. Katyusha rockets are highly inaccurate and only travel several kilometers. Still though, a barrage of several thousand was bound to do some damage. 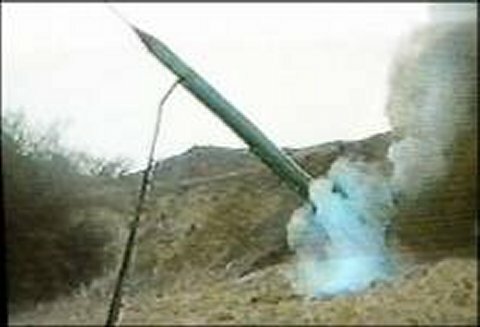 If reports are true, Hizballah now has more advanced rockets that can travel further and hit their targets. In a situation where Tel Aviv and points south are taking direct rocket fire and suffering multiple casualties, how long can the IDF sustain an attack against Hizballah? Over 1,400 Israeli lives were lost in 2006. Is Israel ready to accept a death toll in that neighborhood again? Also in 2006, the IDF was never able to stop Hizballah’s rocket assault, and Hizballah generals are believed to have never lost communication with their front lines. What makes Israel think that this time will be different, when Hizballah has had over three years to plan and prepare? The result of another war between Hizballah and Israel would be terrifying for all involved. Lebanon would likely be destroyed beyond recognition, and Israel would likely suffer damages and casualties that it has not seen in generations, if ever. Just as the concept of Mutually Assured Destruction kept the USA and USSR out of a nuclear war, maybe it will also keep Hizballah and Israel from once again squaring off. There has been a lot of talk recently in certain circles about America going to war with Iran. The train of thought is this: the US doesn’t want to go to war with Iran, but Israel is so afraid of Iran having nuclear weapons that they will draw the US into the conflict by bombing Iran. The US will then be dragged in because Iran will certainly try to close the Strait of Hormuz (through which 40% of all traded oil passes) and the US simply cannot let this happen because of the effect that the ensuing skyrocketing oil prices will have on the world’s fragile economic state. Israel bombs Iran to prevent them from getting nukes, Iran closes the Strait of Hormuz in retaliation, the United States is forced to get involved to prevent a global economic calamity. That whole scenario sounds plausible on the surface. After all, given all that has happened involving the United States and the Middle East in the last ten years, I suppose anything is possible. However, we should take a closer look at that course of action for the parties involved and walk through the likely outcomes. But first, let’s examine the implications of Iran successfully acquiring the ability to make some nuclear weapons…because, of course, the second that they acquire a nuclear weapon, they will no doubt immediately launch it at Israel. Let’s say Iran secretly makes half a dozen nuclear weapons, attaches them to long range missiles (which they already possess), and launches them all at Israel. Then they somehow manage to strike targets in such a manner that they completely disable Israel’s ability to respond in kind. Iran would have just incinerated hundreds of thousands of people – a large portion of which would have been Muslims – and completely contaminated the entire Holy Land in the process. Israel is not very big, and it wouldn’t take much to completely poison the entire country. And let’s not forget that Islam’s third holiest site is located in Jerusalem, which would also be rendered uninhabitable. So Iran has successfully vanquished their Zionist enemies, then what? The Palestinian diaspora is supposed to flood back to their ancestral lands waving the Iranian flag and praising the Ayatollah for his great victory because they now get to return to a toxic wasteland? Unlikely. And as a consequence, Iran has now greatly harmed countless Sunnis Arabs, which historically have been at odds with the Persian Shia. So Iran has destroyed Israel with it’s brand new nuclear weapons, then what? They reap a bunch of imaginary Muslim “street cred” and then go back to business as usual? First, the United States would be very upset at Iran for destroying one it’s closest allies. If the US didn’t immediately launch a full scale invasion of Iran on it’s own, they would certainly have the backing of the entire United Nations Security Council to do so, as well as to implement whatever sanctions it wanted. If the United States were able to halt the supply of gasoline into Iran, many experts think that this alone would be enough to plunge the country into chaos. (Iran, while sitting on a sea of oil, has precious few refineries that can turn that oil into gasoline, which forces them to rely heavily on imports.) The United States, if finally able to implement a full array of sanctions, might not have to drop a single bomb in their effort to see regime change there. And it would all occur with the backing of the free world. All this for what? So the Iranian regime can cement itself on the throne of Muslim warriors forever? It is unthinkable that the Ayatollah and his people would risk their survival for this reason. For one thing, they are already at the forefront of Israeli agitation, and they can stay there without challenge just by making fiery anti-Zionist speeches and continuing to not-so-covertly aid Hamas and Hizballah. So why all the fuss? Many in Israel are generally frightened over the prospect of Iran acquiring nuclear weapons which, given Jewish history, is to be expected. But for Israel’s policy makers, perhaps all this talk of the Iranian threat is useful to shape the debate and how the US deals with Iran, which Israel views as its greatest threat. Indeed it seems extremely unlikely that Iran would launch a nuclear strike against Israel if given the opportunity. Now let’s examine the situation from the Israeli point of view. If Israel launches a strike against Iran, there is a strong chance for events to escalate quickly to a level that Israel would not be comfortable with. There is always the possibility that Israel could send bombers to Iran to take out their nuclear installations and face no retaliation. Though highly unlikely, there is some precedent for this. In 2007, Israeli jets quietly flew into Syria and destroyed that country’s nascent nuclear energy program (which Syria was legally entitled to). There was no overt retaliation and Syrian officials barely mentioned the matter publicly, but its almost unfathomable that Iran would exercise that same restraint. Iran’s main area of power and negotiation on the world stage is its nuclear energy program, and destroying that would not sit well with Tehran at all. In the case of Syria, their nuclear energy program was not as important to them publicly as Iran’s is, and anyway there was very little that Syria could do to Israel in response. But Iran is not Syria. Iran has a substantial military, as well as countless proxies that the Revolutionary Guard has been training for the last thirty years. Hizballah and Hamas are only two. Tehran has many ways to strike back against Israel. There is also the sentiment that, while the United States is the biggest player, Israel is the one with their finger on the trigger in this situation, and they are the ones who will decide the outcome. If Israel moves, the United States will be forced to move to. So Israel bombs Iran, Iran tries to close the Strait of Hormuz, and the US is forced to intervene. Israel has just started a fight with one of the largest armies in the Middle East. Iran was instrumental in forming Hizballah and has been contributing hundreds of millions of dollars to the group since the early 1980’s. If Iran finds itself under attack, there is little doubt that they will call in a big favor from Hizballah, meaning an assault from Israel’s northern border. And Israel’s publicly stated policy with Hizballah is that if they harm a single Israeli, then they will take it as an act of aggression from the entire country of Lebanon, and Israel will respond as such. Israel nearly destroyed Lebanon in 2006, where Israel said that it acted with restraint because of a memo they received from President Bush at the time. Israeli officials have stated that in the event of a future attack, they would exercise no such “restraint”. So Israel bombs Iran, Iran responds, and the US is forced to intervene. If we follow the scenario through, Hizballah would likely attack Israel. (Here, Hizballah would miss the genius arch-terrorist General Imad Mugniyeh, but there is probably some other man or men that could pick up where he left off. ) Then Israel would attack and destroy Lebanon. Now, not only is Israel at war on multiple fronts (Israel’s historic nightmare), but now it has lost the only thing it gained from the 2006 War: a stable northern border. And with all the ensuing chaos unfolding, its not hard to imagine Bashar Assad in Syria taking a swipe at the Golan Heights during Israel’s moment of weakness. As previously stated, Iran is not Syria and a quick one time strike there without repercussions is highly unlikely. Israel would be drawn into a potentially lengthy conflict. Maybe they could avoid this by the United States stepping in, but betting on that is both risky and foolish. Israel, a nation of 7 million people, would most likely find itself at war with a nation of 66 million people, a third of which are fighting-aged men. A force that large could travel down through Syria (Iran’s close ally) and easily overwhelm the tiny nation. Not to mention that a prolonged war with Iran would be incredibly destabilizing for Israel. Israel is a nation of the “citizen soldier on leave for 11 months a year”. They have a standing army, but in the face larger threat, the whole country mobilizes into wartime mode. People have to leave their jobs and productivity plummets. Their absence from the workplace saps the Israeli economy. While it may not be as bad as in past years, a prolonged engagement with Iran could likely destroy the Israeli economy for decades to come. Another thing to consider is that Israel’s population is 25% Arab. This part of the country’s loyalty to the Israeli government is questionable, and it is unclear how they would respond in the event of their country going to war with a Muslim nation. How would the Arab Israelis react? At the very least, it would be unwise for the government to count on their full support. Israel would also have the West Bank and the Gaza Strip to worry about while fighting Iran. If they rose up in a third intifada while Israel was at war with Iran, it would complicate matters significantly. If the situation spins out of control for Israel, we could see jihadists coming from all over the Muslim world to battle the “Zionist occupiers”, like we saw during with the Soviet Union in Afghanistan. Of course, none of these scenarios are guaranteed, but they must be considered by Israel’s policy makers. So the United States attacks Iran to keep the Strait of Hormuz open in order to insure the continued flow of Gulf oil and to avert the world from an economic catastrophe. At this time, it’s not even clear that Iran is capable of “closing” the Strait, but it could certainly significantly disrupt it. Is it worth it then for the United States to get involved in order to prevent this disruption? The US is already fighting two very costly wars in Iraq and Afghanistan. Those countries don’t even have armies, and it’s still very tough going for American forces there. Iran, on the other hand, has a sizable and formidable military. Even if the US and Israel manage to destroy Iran’s air force with a surprise attack, Iran can still make an extraordinary amount of trouble for the two countries. For example, the United States could kiss goodbye all the progress it has made in Iraq over the last couple years. Contrary to popular belief, the calming down that occurred in Iraq in 2008 was not so much due to Bush’s troop surge as it was due to help from Iran. For five years after the initial invasion, Iraq was plagued by sectarian violence and Iran was behind much of this. Washington’s aggressive posturing towards Iran directly resulted in the rising violence in Iraq. And soon after the Bush administration toned down its rhetoric, Iran acquiesced in Iraq. Some of the most fearsome fighters in Iraq were Muqtada Sadr and his Sadr Militia. Sadr gave the US a tremendous amount of trouble in the slums of Sadr city and he could not be vanquished. But one call from Tehran and he was back in Qom studying the Koran and out of America’s hair. Then, also with Iran pulling the strings, Iraq’s sizable Shia population was suddenly willing and eager to participate in the new government that was being formed. Iran had removed one half of the sectarian violence equation and it wasn’t long before Washington was talking about a withdrawal. None of this would have been possible without Iranian cooperation and it could all be unraveled with one word from Tehran. All of that would have to be weighed against a possible strike on Iran. Also, the United States couldn’t just launch a few dozen Cruise missiles at Iran and be done with it. They would have to see it all the way through to regime change because there would be no going back. The Iranian regime would likely unleash everything it has in its nasty arsenal if faced with an existential threat like that. We could see the return of 1970’s level international terrorism. The US would be at war on a 2000 mile front with three countries. This might have seemed possible under George W. Bush, but with Obama it’s muchless likely. The military is already greatly overextended in Iraq and Afghanistan and the economy is in a very fragile state. Going to war with Iran in order to ensure the flow of oil and to keep the world economy stable doesn’t really make much sense when you consider the implications of such actions. If Israel attacks Iran with the hope of American intervention, I hope they are sorely disappointed. Israel bombs Iran, and the United States intervenes. And all of this is supposed to be due to the possibility of Iran trying to make nuclear weapons. Even the most conservative estimates put Iran a year away from refining enough uranium for making a weapon. Iran has recently agreed to allow International Atomic Energy Agency inspectors in to see their newly unveiled nuclear operation outside of Qom. This is their obligation under the Nuclear Non-Proliferation treaty that they have signed. Now, everyone already assumes that Israel has nuclear weapons. So if Iran develops their own, why would they use them on Israel when their destruction is mutually assured? One may accuse the regime in Tehran of religious fanaticism, but they are not suicidal. When faced with an existential threat, they will chose regime survival over their religious commitments, and in this way they are logical actors. It’s not logical for Iran to attack Israel, and it’s not logical for Israel to attack Iran. Some in Israel may be frightened of Iran, with the disturbing rhetoric regarding “driving the Jews into the sea”, but this is not what is on the minds of the Israel’s policy makers. Right now, Israel is the only nation in the Middle East to possess nuclear weapons, and Iran acquiring them would greatly complicate the geopolitical landscape of the region forever. Incidentally, this is why the United States is so concerned with the issue of Iran’s nuclear weapons program. It’s not because Washington thinks Iran would actually use them, but because of the way it complicates things for the US in the future. Iran would have to be dealt with differently if they possessed nuclear weapons. This is scary to Washington. Another thing to consider is the idea that if Iran develops a nuclear weapons program, then Saudi Arabia will want to as well, and the whole thing leads to more proliferation in a historically unstable region. One could argue however that Iran having nuclear weapons makes the region more stable not less, as the region’s most disruptive actor, Israel, would be severely curtailed in its hostilities. Israel would have to think twice before taking on Hizballah and destroying Lebanon like they did in 2006. For the next quarter century, Iran was ruled by the brutal and oppressive king. In 1979, the people had had enough and they overthrew him. But in stepped the Ayatollah Khomeini, who was extremely hostile to the United States. He was seething with hatred after witnessing of what Iran had went through at the hands of America’s puppet monarch. What we have now in Iran is a nation where half the people are for the Ayatollah and angry at the United States for messing in its affairs, and the other half is against the Ayatollah and angry at the United States for overthrowing the only democratically elected government Iran ever had. Iran doesn’t have nuclear weapons right now, and it is unlikely that they would use nuclear weapons against Israel even if they did have them. The consequence of such an action would vastly outweigh the symbolic value of wiping Israel off the map for good. Also, it would be unwise for Israel to launch an attack of it’s own under the assumption of either American intervention or of Iranian non-response. That scenario is similar to a child taking a swipe at the class bully when he knows the teacher is present. The child is relying too heavily on either the bully not reacting or the teacher’s swift intervention, and that is not smart the because the teacher will not always be around to intervene, and the bully will not forget. And neither would Iran. For America, attacking Iran either on Israel’s behalf or to keep the flow of Gulf oil going doesn’t make much sense either. America is stretched to the brink both militarily and economically, and American intervention in a dispute between Israel and Iran would surely lead to more chaos in the region, not less. In addition, the United States would not want to jeopardize all the progress that has been made in Iraq. Today, eight countries are known to possess nuclear weapons: USA, UK, France, China, Russia, India, Israel and Pakistan. That does not include all the weapons that went missing after the breakup of the Soviet Union. The United States is the only country to ever use a nuclear weapon in the act of war. At this point, the United States should be more concerned with Pakistan’s arsenal, as that country is far more unstable than Iran and is besieged by the Taliban and Al-Qaeda, two groups that would actually use them if given the opportunity. On top of that are all the USSR nukes that are missing. Those are the two areas of nuclear security that seem to demand more attention than Iran. Finally, in each case, the consequences of an attack outweigh the benefits. For Iran attacking Israel, for Israel attacking Iran, and for the United States attacking Iran, in each case the world would be made drastically more dangerous by action than by inaction. Washington needs to make it clear to Israel that the United States will not be drawn into a conflict with Iran, and make it clear to Iran that the United States will respond dramatically to the harming of one of its allies. Right now, events seem to be progressing at a rapid speed in the wrong direction for all three parties. Hopefully cooler heads will prevail.